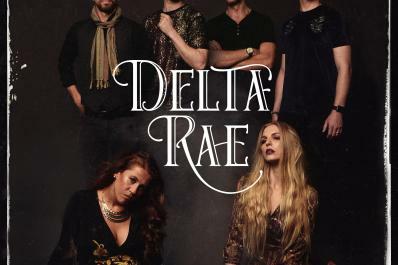 Six-piece band Delta Rae hails from Durham, NC. Liz Hopkins and Brittany Holljes front the robust group with sultry harmonies rounded out by Holljes' brothers Eric (vocals, piano) and Ian (vocals, guitar) as well as Mike McKee (drums) and Grant Emerson (bass). The band chose their moniker from a mythical story the Holljes siblings' mother wrote about a Southern girl of the same name who summons the Greek gods to earth. 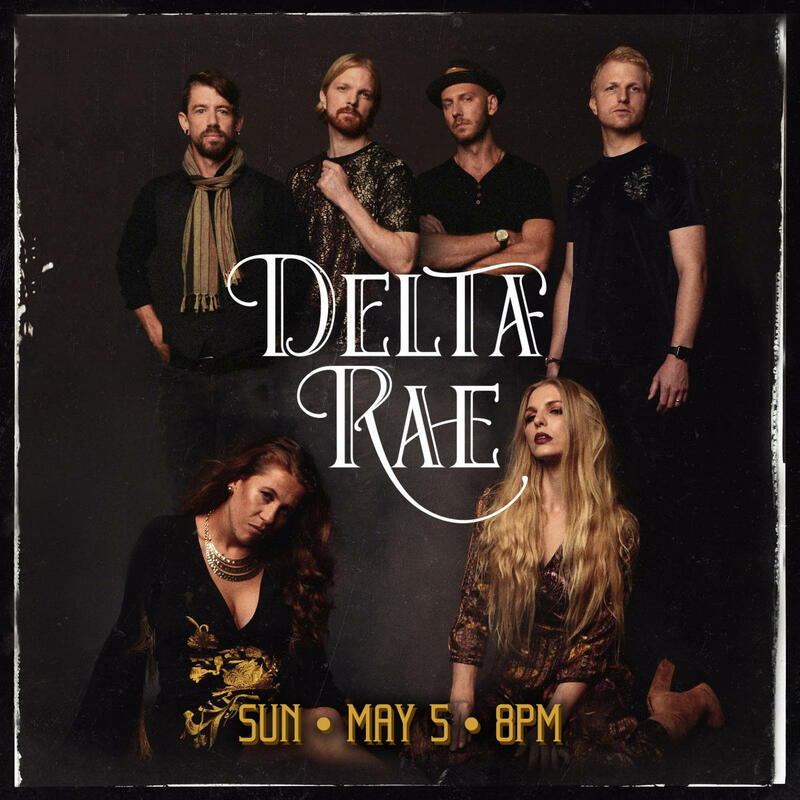 Headlining over 100 shows each year and a regular on the festival circuit since forming in 2009, Delta Rae's larger-than-life performances have earned coveted spots at Bonnaroo, Tortuga Music Festival, Austin City Limits, Hangout Fest, VOODOO and Lollapalooza. They have received national attention with features in NPR, Washington Post and New York Times in addition to multiple late night performances and inclusion in Forbes' 30 Under 30 list.